James Franco displayed a similar lack of nous while decrying the proposed sequel to Spring Breakers (Harmony Korine, 2012). “This is not being done with Harmony Korine or my consent,” he explained. “The original was wholly Harmony’s creation and these producers are capitalizing on that innovative film to make money on a weak sequel,” the star of Rise Of The Planet Of The Apes (Rupert Wyatt, 2011) continued, shocking precisely no-one. * Most sequels are unnecessary. Many are unfortunate, others simply unlikely. Some are, at best, of dubious legality. But, inevitably, some of the most ill advised, ill conceived and ill fated are in fact entirely legitimate. That’s because anyone, (though first time writer-directors are probably the most susceptible) going cap in hand for funding, distribution or both will find themselves signing away all their rights – merchandising, sequels – just to get the thing made. If your film does well, the safe-playing moneymen are likely to want all of the band back together, the better to repeat the trick exactly, while if your film does no business, you’ve got nothing to worry about anyway. And, regardless, no matter how many cautionary tales you hear, no matter how hard your spider-sense is tingling, they’ll always get you with the “What’s 100% of nothing?” rationale. And if you’re a fledgling auteur proposing a singular, self-contained statement of intent for your directorial debut, it’s probably furthest from your mind that anyone’s going to want to exploit what is after all just a standard contract clause – right? However, Hollywood doesn’t know how to leave well enough alone when there’s a potential franchise to be sown. Not even such self-evidently one-and-done films as Casablanca (Michael Curtiz, 1942), Blade Runner (Ridley Scott, 1982) and Gladiator (Ridley Scott, 2000) are safe from the ongoing threat of sequelisation (see Nick Cave’s Gladiator 2). The very existence of Titanic II (Shane Van Dyke, 2010), tagline “100 years later, lightning strikes twice,” shows that there really are no depths studios won’t sink to chasing a buck (however tongue-in-cheek the Asylum’s production is). A Blade Runner sequel actually seems more likely than ever, given the participation of Ridley Scott, posing conflicted fans a difficult question: might it be good? The common theme, of course, with what I’m calling cheeky sequels is that without exception they’re awful – travesties that insult audiences and the original creative team in equal measure, and which exist only, as Franco was so keen to point out, to wring as much money as possible out of an original property. Unlike straightforward sequels, they can’t or won’t get the old team back together, usually because the original has no obvious sequel potential or quite often because the main characters died at the end of the first story. * Continuing his Spring Breakers 2 rant, James Franco appealed to our common sense: “Can you imagine someone making the sequel to Taxi Driver without Scorcese [sic] and DeNiro’s consents? Insanity!” He’s right, of course, though he clearly hasn’t heard of The Bronx Bull (Martin Guigui, 2014), which first entered production as the Jake LaMotta-approved Raging Bull 2, before rights-holders MGM objected. *** Like Mean Girls 2 (Melanie Mayron, 2011), lots of unlikely sequels are made for television, or at least end up there. Some are repurposed pilots for failed TV shows, e.g. The Jerk, Too (Michael Schultz, 1984) and Cruel Intentions 2 (Roger Kumble, 2000), which was original shot as the launch of a TV series called Manchester Prep. Alongside the risible The Birds II: Lands End (Rick Rosenthal, 1994) in the made-for-TV category are Another Midnight Run, Midnight Runaround and Midnight Run For Your Life. 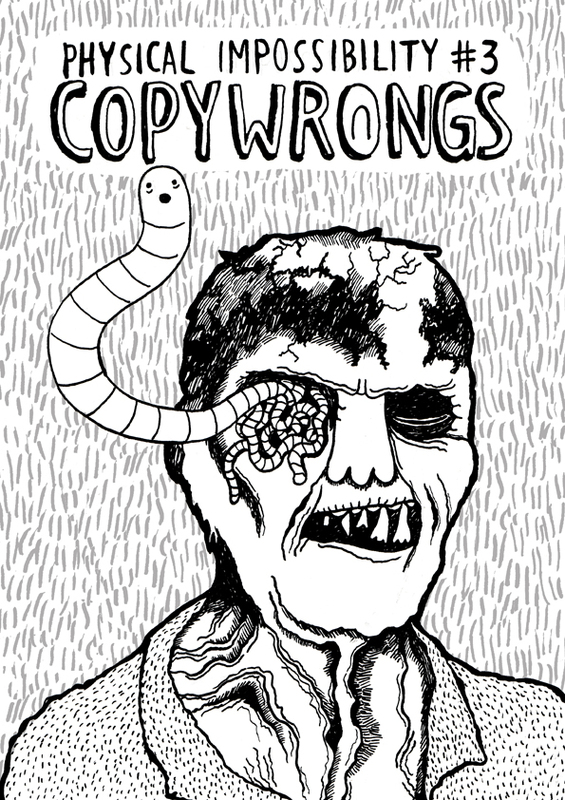 This article is excerpted from the zine Physical Impossibility #3: Copywrongs. Pick up a copy here! This entry was posted in Cash-Ins, Copywrongs, Zine and tagged American Psycho II, Another Midnight Run, Blade Runner 2, Bret Easton Ellis, Casablanca, Copywrongs, Cruel Intentions 2, Easy Rider 2, Easy Rider: The Ride Back, Gladiator 2, Glasgow, Harmony Korine, James Franco, Manchester Prep, Mean Girls 2, Midnight Run For Your Life, Midnight Runaround, Mila Kunis, Nick Cave, Planet of the Apes, Raging Bull 2, Ridley Scott, S Darko, Sequels, Spring Breakers 2, The Asylum, The Birds II: Lands End, The Jerk Too, Titanic II, Zine. Bookmark the permalink.